There have always been issues concerning Irish identity. For centuries what dominated was the distinction between the native Irish and, first, the colonisers and then the Anglo-Irish. But what does it mean now to be Irish, given that the country is more a nation of immigrants than of emigrants? 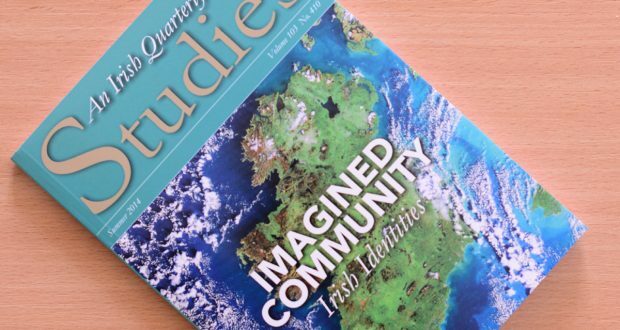 The summer issue of Studies (‘Imagined community: Irish identity’) addresses related themes. In his review of Bryan Fanning’s Racism and social change in the Republic of Ireland, Eugene Quinn (director of JRS Ireland) notes that the most recent Irish census (2011) recorded more than half a million non-Irish nationals living in Ireland – 12 percent of the total population. 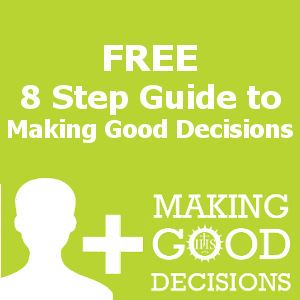 As Bruce Bradley SJ remarks in his editorial, “For an island people, long used to movement in the opposite direction, these figures are not negligible and can be the harbinger of rich possibilities for the future, provided the inevitable social adjustments and a just policy of integration (no small challenge, as Fanning’s book makes clear) are properly managed”. 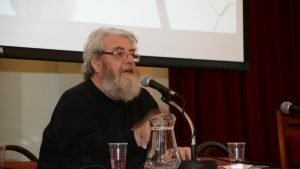 The matter of language – specifically the Irish language – naturally emerges when issues of national identity are raised. Two of the contributions to this season’s Studies look at efforts to ensure the survival and flourishing of the native tongue. Brendan Walsh (DCU), in the first installment of a two-part essay, examines the fate of the Irish language in the Irish university milieu in the 19th and early 20th century; while Kevin Williams (also DCU) writes in criticism of efforts in our own day to the Irish language compulsory in schools. Other essays examine sectarian episodes and themes from Irish history, remote and near. A sad note is struck in this issue of Studies. Since the publication of the last issue, Margaret Dixon, assistant to the three last editors of Studies and house administrator of the Leeson Street Jesuit community, has passed away. The editor has included an appreciation page here, duly noting the great work she has done for this journal and her “immense competence and resourcefulness and unfailing patience and good humour.” May Margaret rest in peace.